The first volume "Human performance in automated and autonomous systems: Current Theory and Methods" examines the advances in theories, methods, and models relevant to automated and autonomous systems. Such texts are rocks in the river of progress. They freeze, at one moment in time, what we think we know. The present text allows us explicitly to look back to ask questions about what we did know, and what we aspired to know at that time. Like the prognostications of visionaries such as Bartlett, that exercise then allows us a 180 degree turn in order to now look into our present’s own future. 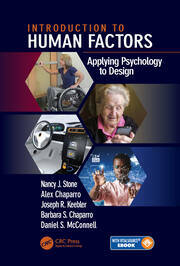 Its contents highlight the significance of presently emerging technologies that determine the course of our daily lives. This book also depicts the boundaries that separate humans from machine as we continue to become ever more immersed in and symbiotic with these fast-emerging technologies. In this context, we recognize the need for human-centered approaches to design; a carefully crafted automated technology that places the "human user" in the center of that design process. To this end, this volume applies scientific theory directly to real world applications where automated technology is now being implemented. 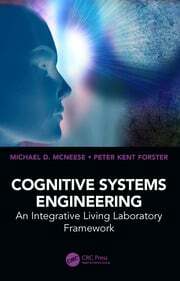 This book highlights human factors and engineering issues across real-world applications, concerning emerging issues and practical perspectives on human performance in automated and autonomous systems. It covers cross-domain principles and implementation. 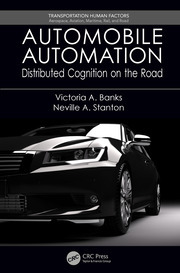 It also shows how context drives automation and autonomy decisions in both design and operations. Part I Theoretical Perspectives on Human Performance in Automated and Autonomous Systems. 1. To Autonomy and Beyond. 2. Informed Design for Wearable Interfaces: Application of Resource Theories of Attention. 3. Vigilance and Workload in Automated Systems. 4. Expertise, Learning, and Autonomous Systems. 5. Humans and Automated Decision Aids: A Match Made in Heaven? 6. Human Robot Interaction: Current Research and Trends. 7. The Quest for Alternatives to "Levels" of Automation and Task "Allocation". 8. Human-Automation Interaction: Levels of Automation. 9. Why Representations Matter? Supporting Productive Thinking. Part II Methods and Applications. 10. Cockpit Automation: From Individual Pilot to Multiple Agents. 11. Workload and Stress of Vigilance in Autonomous Systems. 12. Adaptive Automation in Aviation Systems. 13. Help me out here: Automation Aids for Visual Search in Operational Environments. 14. Motor Performance Assessment and its Implication for Display and Control Systems. 15. Situation Awareness in Automated and Autonomous Systems. Dr. Mouloua is Professor of Psychology and former Director of the Human Factors and Cognitive Psychology doctoral program at the University of Central Florida, Orlando, Florida. He received his PhD (1992) and M.A. (1986) degrees in Applied/Experimental Psychology from the Catholic University of America, Washington, D.C. During his tenure at UCF, Dr. Mouloua several teaching and administrative positions (Senior scientist at the Center for Applied Human Factors in Aviation (1994-1998), Assistant Professor (1994-1999), Associate Professor (1999-2005), Professor (2006-Present), Associate Director and Senior Scientist of CAHFA (1998-2001), and Director and Chief Scientist of CAHFA(2001-2013). Dr. Mouloua is the editor of several books including Human Performance in Automated Systems: Current Research and Trends (1994, Erlbaum Press), Human-Automation Interaction: Research and Practice (1997, Erlbaum Press), Automation and Human Performance: Theory and Applications (1996, Erlbaum Press), Automation Technology and Human Performance: Current Research and Trends (1999, Erlbaum), Human Factors in Simulation and Training (2009, Taylor & Francis Group), Automation and human performance: Theory, research, and practice (2004, Volumes I & II; Lawrence Erlbaum Associates), and Proceedings of the 2nd ACM Symposium on Computer Human Interaction for Management of Information Technology (ACM, CHIMIT, 2008). P.A. Hancock is Provost Distinguished Research Professor in the Department of Psychology and the Institute for Simulation and Training at the University of Central Florida (UCF) and is the author of over nine hundred refereed scientific articles. He has written and edited more than twenty-five books including Human Performance and Ergonomics (1999), Stress, Workload, and Fatigue (2001) and Performance under Stress (2008). He is a Fellow and past President of the Human Factors and Ergonomics Society, the Society of Engineering Psychologists as well as being a former Chair of the Board of the Society for Human Performance in Extreme Environments.